The first documentaries are, as you would guess, the one-minute long footages of Lumière Brothers. They are also the first attempts of film-making. The number of documentaries surged during the Great Depression and the War. Art is said to take shape during desperate times, and as intellectuals had more things to reflect upon, such as social conditions or lasting predicaments, a new film movement has born in post-war Italy: Neo-realism. This contemporary film movement intended to express new perspectives in social, economic or political issues. The actors were, in general, non-professional ones, mainly locals. The popularity of Neo-realist observational movies reached its peak during the Italian Spring. They were mainly shot in uncontrolled environments by moving around the camera, which sometimes created unpleasant takes . As well as the necessity of the developments in camera technology (size and weight of cameras), the technology of recording location sound was vital . At the beginning of Neo-realism, there was no synchronized sound with the medium. However, when the portable synch-sound equipments became available, persuasiveness of the images and the fidelity between the images and sound gained credibility . Little Fugitive (1953) falls around this era, in which recording the location sound was possible and shooting movies in natural locations were taken granted. Little Fugitive (1953) is a movie about a seven-year-old boy who misunderstands a joke of his brother and runs out of the house until he is found by his brother that evening. We witness to one-day-long adventure of this little 'fugitive' as the camera focuses on him, as well as the vibrant chaos of Coney Island. The film doesn’t only fall into the category of drama or adventure, but also observational documentary. 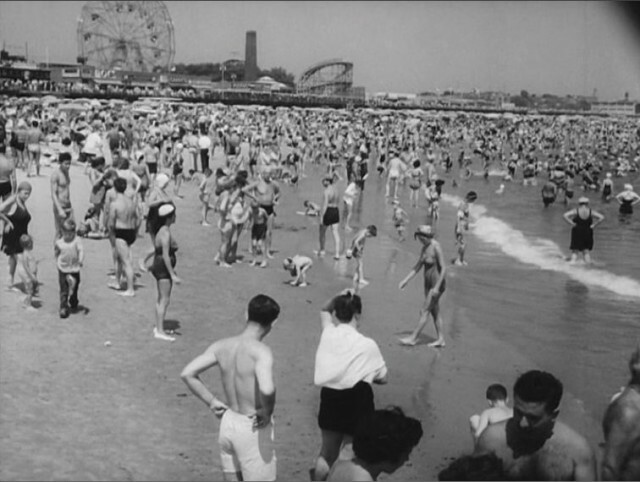 It is a beautiful document about Coney Island in 50s. Sequences of the film show us the rush of the crowd after a sudden rain or the people lying down at the beach of Coney Island. One may wonder if people would act naturally in the presence of a camera, but Little Fugitive seems to have solved that problem with a concealed strap-on camera. The border between the fictional narrative and documentary is so thin that sometimes you forget about the story of this little boy; instead you find yourself in Coney Island, witnessing the flow of lives of people at those times . The presence of environmental interaction drives the film and renders its story telling more realistically. 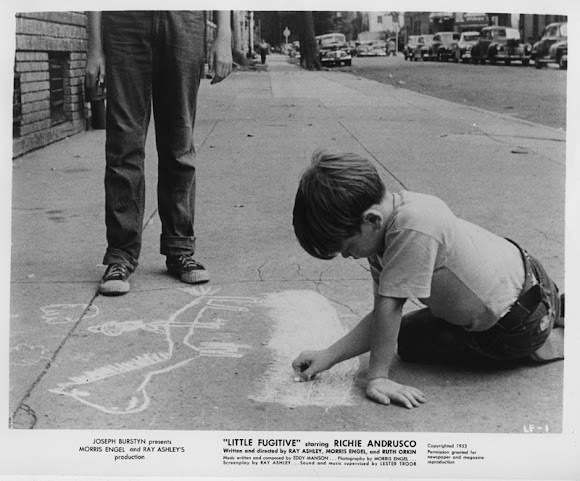 Consequently, Little Fugitive’s photography-based co-directors, Morris Engel and Ruth Orkin, have influenced the establishment of the physical environment of the film. Although they are accustomed to represent reality through photography as their original work, this time, they establish it on a different media: film. Andrzej Wajda’s Katyn (2007) is another way of representing reality. 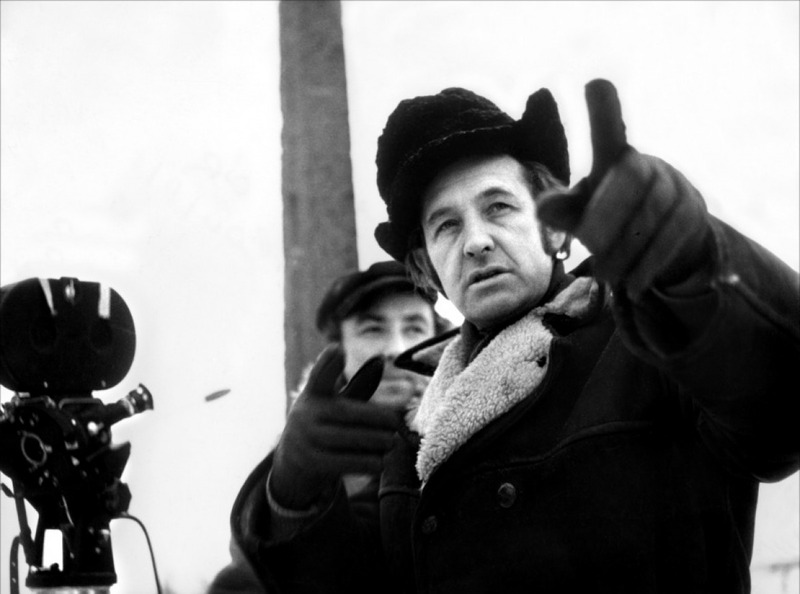 Wajda, one of the best-known directors of Poland, revisited the Katyn massacre at the age of 81 with his film. The film depicts the extermination of Polish officers by the Soviet Army in the Katyn forest. He enriched the storytelling by two documentary footages shown during the movie. The documentaries are shot after the massacre at Katyn forest, one presenting the massacre as a Soviet crime (the documentary was made by the Germans for the purpose of propaganda), the other as a German crime (made by the Soviets in order to cover up their deeds). The scene in which each prisoners are one by one shot in the head and dumped into a mass grave emphasizes the grim, concealed truth and underscores Stalin’s guilt . Since it is not possible to have a footage about the massacre itself, the film is not only a quintessence that brings lights on historical facts, but also helps us to understand what people might have felt or lived through around those times, along with the heaviness of the truth. "Every film is a documentary of its actors"
lovely post. sounds interesting i want to watch little fugitive now. War... What is it good for?? ?